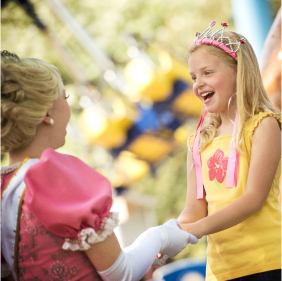 Dutch Wonderland theme park tickets are a great way to experience royal fun for a day. 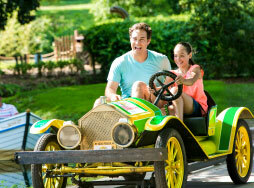 Admission to Dutch Wonderland includes unlimited rides and shows any day of operation! Ages 2 and under are FREE. 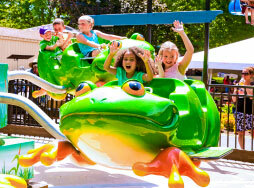 Dutch Wonderland offers special rates for groups, camping options, and even catering. Discount theme park tickets are offered on select days throughout the season. Pre-Season Sale - Save $7! The fun doesn't have to end after one day. Check out our Season Passes! *Online processing fees may apply. Enjoy the last three hours of the Park the night before you visit us for a full day – FREE! Any full day ticket, regardless of where it is purchased is eligible to be Previewed. Combo Tickets can either be Previewed at Dutch Wonderland OR Hersheypark (not both). Please visit Hersheypark.com for details on their Preview Plan. Two Day Flex Tickets can be Previewed once. The only tickets that are not eligible for Preview are Twilight Admissions. Preview must be used prior to your full-day visit. Preview after 3:00 pm when the Park closes at 6 pm. Preview after 5:30 pm when the Park closes at 8:30 pm. In order to preview the park, please bring your ticket or printed online ticket to any ticket booth to be stamped when you enter. During Happy Hauntings and Dutch Winter Wonderland, Preview begins an hour and a half prior to park close. Please see our Calendar & Hours for operating dates and times. Click here to learn more about our Accessibility Program for guests with accessibility needs.